Maine Indian Baskets – Maine. Ocean. Camping. 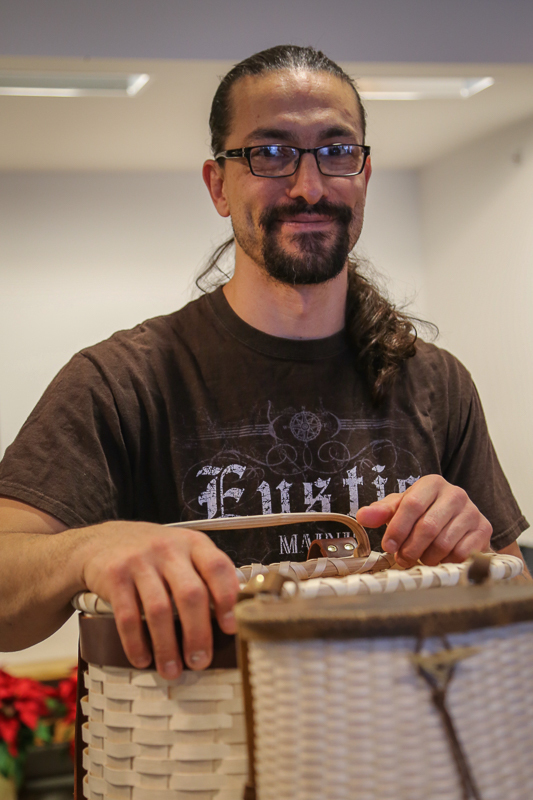 The Maine Indian Basketmakers Alliance (MIBA) is made up of artisans of the Maliseet, Micmac, Passamaquoddy, and Penobscot Indians. The four tribes are collectively known as the Wabanaki. Each year MIBA holds several festivals where you can meet the basket makers, watch demonstrations, listen to traditional music and buy original work directly from the artist. 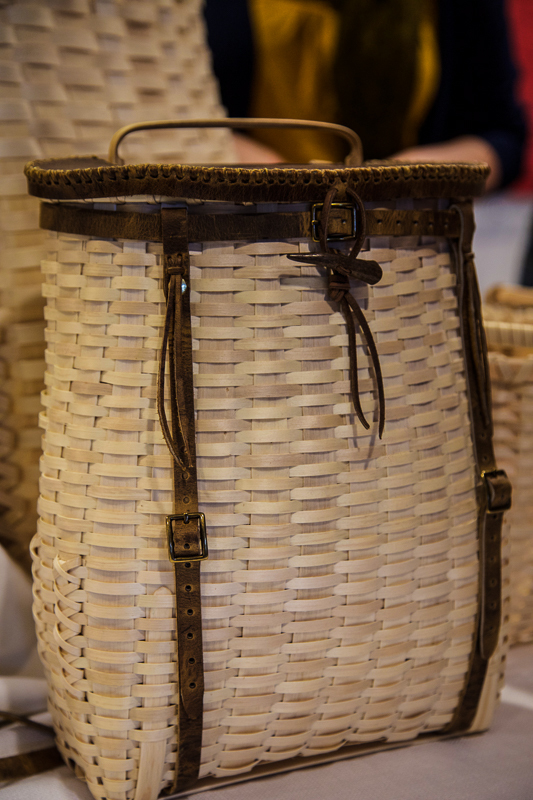 Basketmaking has been an integral part Maine Indian culture for many generations. There are approximately 8,000 Wabanaki left in Maine. Their ancestors have resided in this state for approximately 12,000 years. 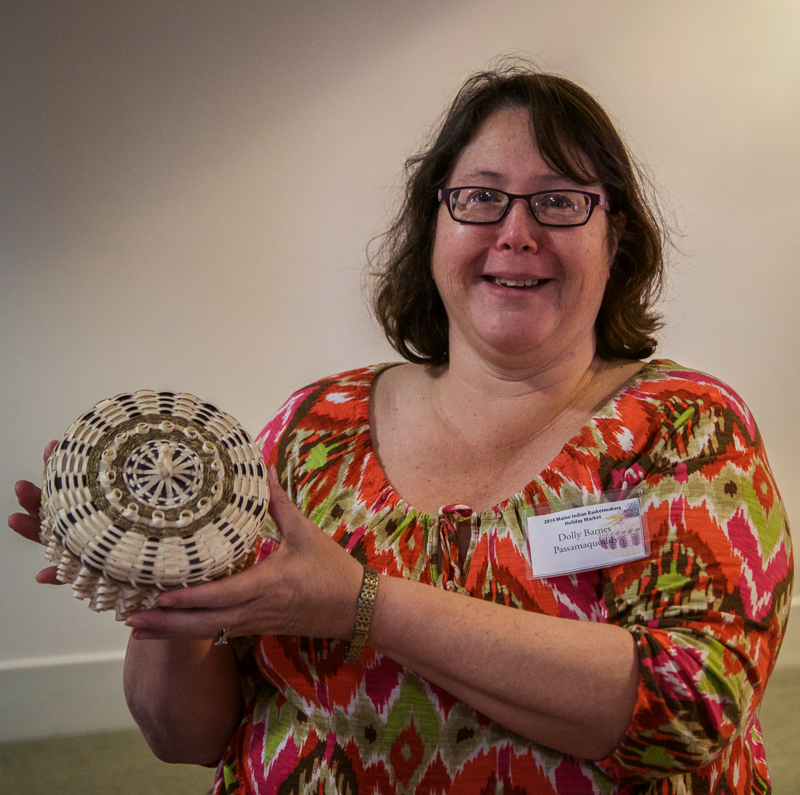 It was great to hear that there’s an active apprentice program in place to guarantee the traditional basketmaking is not lost…and why we saw so many young basketmakers displaying work alongside their elders. Molly Neptune Parker of the Passamaquoddy tribe held center stage and was clearly cherished. Her baskets are museum quality and set the standard for others to strive towards yet she was among the most generous and smiling of all the artisans. 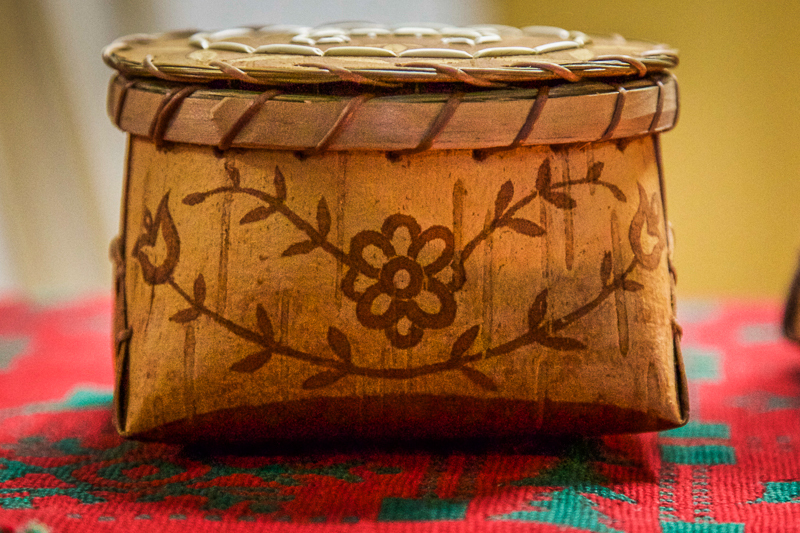 There were baskets of all shapes, sizes and colors, Birchbark baskets skillfully etched with intricate designs made by former Penobscot Chief Barry Dana. 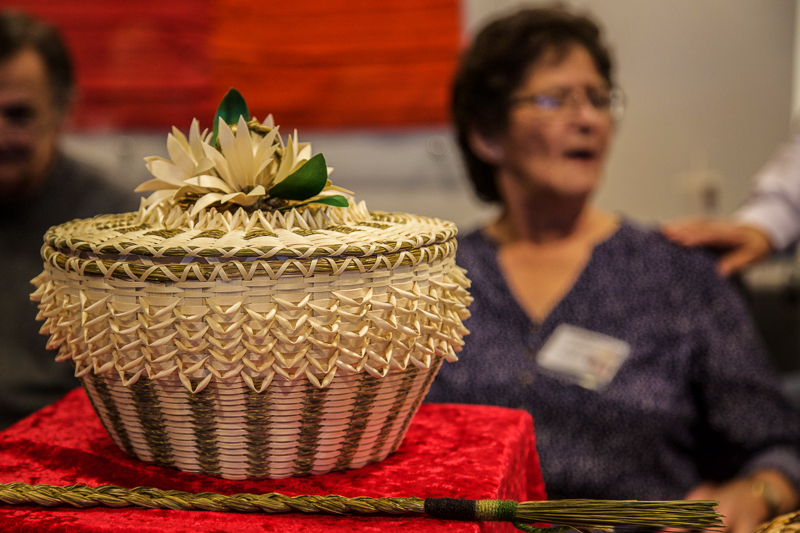 There were sturdy pack baskets trimmed with leather by twelfth generation basket maker Gabriel Frey and the sweet, colorful baskets by Passamaquoddy Dolly Barnes were some of our favorites. Don’t despair that you may never make it to Orono in December…MIBA Participates in several other festivals throughout the summer where you can meet the artists and purchase fabulous baskets. In August They hold a Market at Sabbathday Lake Shaker Village and you can also find them in September at Common Ground Fair in Unity Maine. For more information be sure to visit their website MaineIndianBaskets.org You’ll also find some great information on the Penobscot Nation Museum located on Indian Island…also a daytrip from the Shores.